Ithaca's #7 catching the ball in the endzone while Cortland's #31 attempted to stop him. 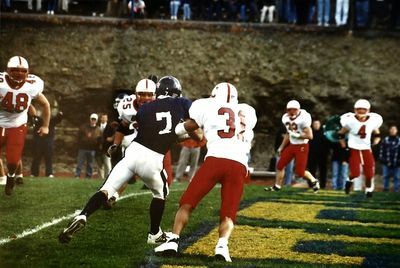 1999 cortaca Jug. Cortland defeated Ithaca 26-21.